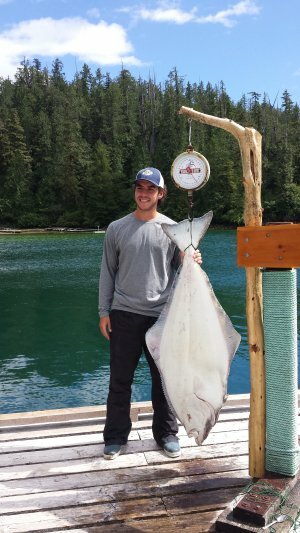 4th September, 2015: FISHING REPORT: Port Alberni Inlet, Barkley Sound, Ucluelet (West Coast), Somas-Stamp River System. 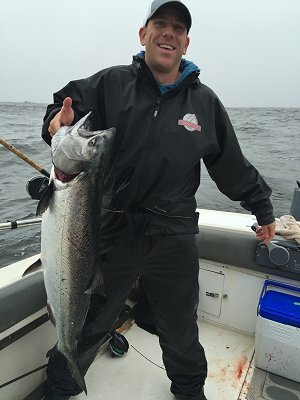 For almost ten days many sport salmon fishermen have enjoyed some very good Chinook salmon fishing. The return of Chinook to the Somass River system is predominately three year olds. 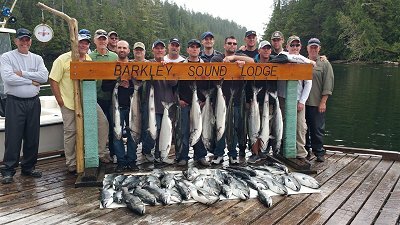 With this in mind the current rule in the Alberni Inlet and all of Barkley Sound is that Chinook salmon must be 77 cm or less to be retained. 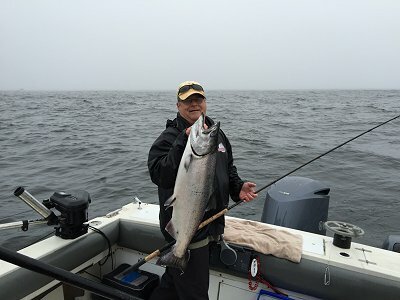 This means that Chinook salmon weighing approximately fifteen pounds or under can be landed and tagged on fishing licenses. Many of the Chinook in the system are coming in at this weight and obviously must be measured by sport fisher persons. The daily retention of Chinook is two and the daily retention of Coho salmon remains at four. Possession per day per individual is four salmon no matter what the species.